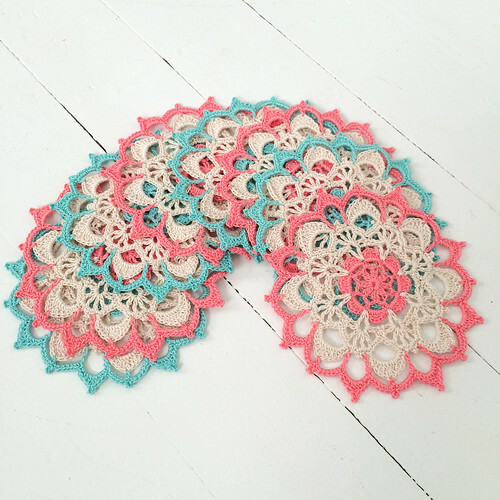 This is a coaster set that I made to go with the other bridal shower doilies. 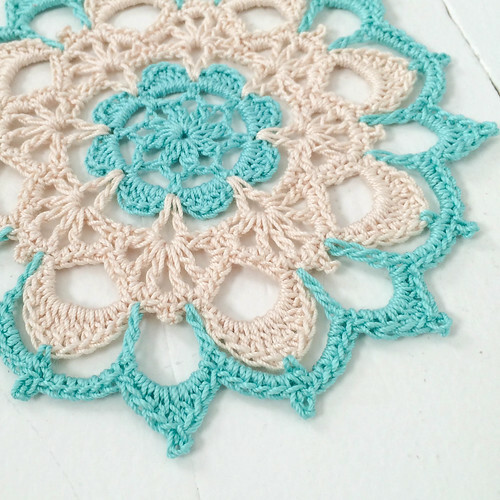 I just love the coral and aqua colors together! The pattern is my own design, and I'm super pleased with how they turned out! 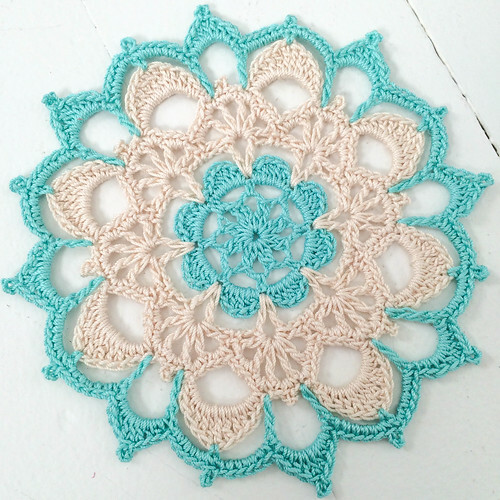 I used Aunt Lydia's size 10 thread in the colors Aqua, Coral and Natural. Again, I just love these colors together! What are you guys up to? Enjoying your summer? Have anything fun on your hook? Those are so beautiful, such a wonderful design, I think they are a real show stopper....thanks for letting me see...loved the post and the pic. I love these! The colors are very nice together. I don't know how to crochet or knit. These make me wish I knew how! Very well done. Really lovely. Kate. Such a beautiful pattern, well done! The colours are so fresh and pretty. Oh I love them, such a delicate design and the colors are so nice together. I love love love those together!! They look so lovely and beautiful!! 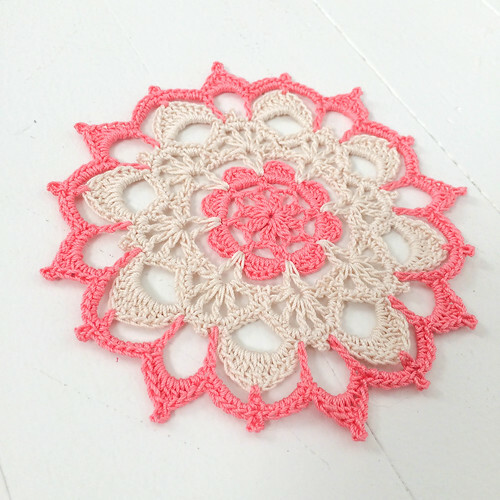 The colors are very soft and soothing :) great pattern!! Yes, so beautiful and delicate, a truly lovely pattern! The colours are made for each other! They are beautiful and I am sure numerous people would buy the pattern if you write it up !!! Thanks for the encouraging words Melody!! More motivation to get it done!